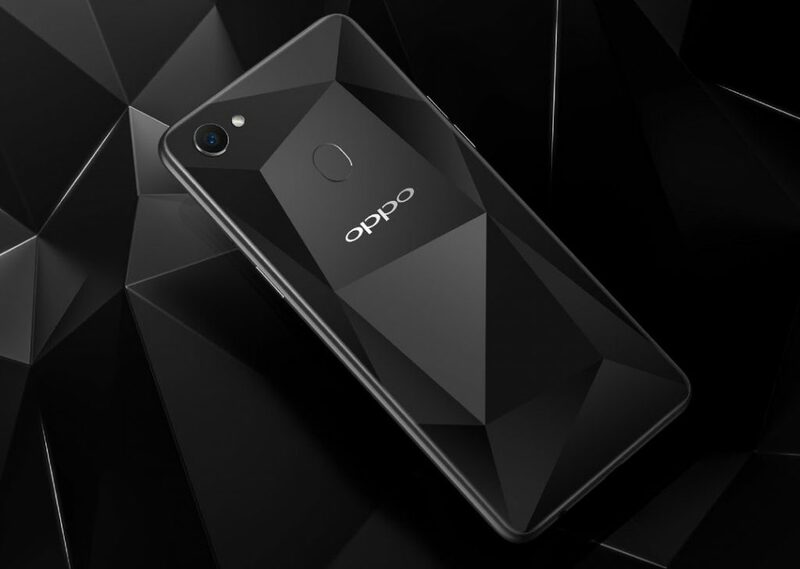 Chinese smartphone maker launched its latest mid range device, the Oppo F7 in India yesterday. Oppo has launched the smartphone with a 25MP front facing camera and a notch display. The company has emphasized on the AI technology used in the Oppo F7 in every part of the smartphone. The smartphone comes with a large display with a notch on the top part of the display just like we saw on the iPhone X.
Oppo has used the MediaTek MTK P20 octa-core SoC running at a 2.0 GHz with AI features equipped to power the camera. Oppo has also used the AI core from the processor on other parts of the firmware apart from the camera on the Oppo F7. The Oppo F7 comes with a different design compared to the design which Oppo provided in its recent smartphones. The smartphone comes with a full-screen display which has a notch on the top just like the iPhone X and a comparatively thick chin. The smartphone comes with 19:9 display aspect ratio which helps the notch to get removed while watching the media content so nothing gets cropped out. The smartphone has a glass back panel for a glossy back and the fingerprint sensor is placed in the center. The smartphone doesn’t sport a dual camera setup at the rear or at the front, which may disappoint some users as most devices in this price range are being launched with a dual camera setup. The Oppo F7 comes with a 6.23 inch display with FHD+ (2280 x 1080 pixels) resolution and LTPS IPS panel. The display has a notch at the top part which includes the front facing 25MP camera and other necessary sensors. The notch provides an extended view which feels amazing to watch at. Although the notch disappears when watching the multimedia on this smartphone so nothing is cropped out of the content. 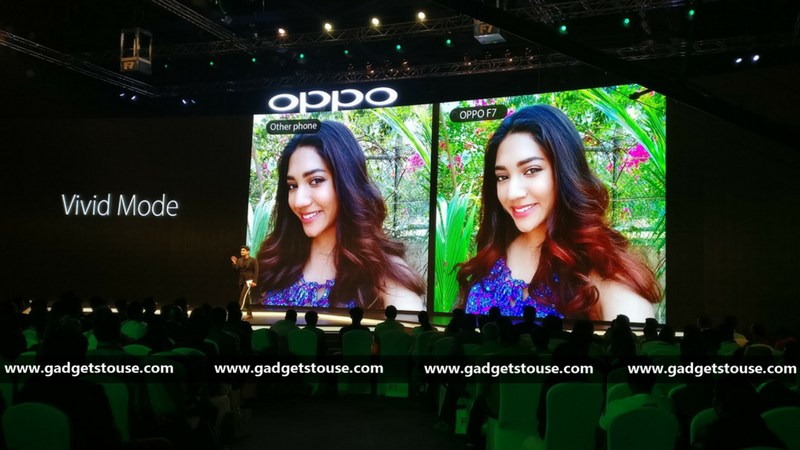 The Oppo F7 comes with a 25MP front-facing camera with a lot of AI enhancements for selfies. The smartphone captures perfect selfies using the AI Beauty mode and HDR technology. The device uses AI Beauty Technology 2.0 to create enhanced selfies. The Vivid mode brings the pictures to life by adding natural colors to the selfies which are recognized by the AI. The front-facing camera also comes with AR stickers which can be put directly on your face during live photography. The camera also changes between 16 modes according to the scenery. Question: How is the display on Oppo F7? Answer: The Oppo F7 comes with a 6.23 inch display with a notch at the top part which includes the sensors and the front-facing camera. The display comes with a 19:9 aspect ratio with 2280 x 1080 pixels resolution and decent pixel density. Due to its aspect ratio, nothing is cropped while watching videos and the notch is not visible. Question: How is the selfie camera on the Oppo F7? Answers: The Oppo F7 comes with a 25MP camera at the front for amazing selfies. The front facing camera comes with an AI Beauty technology to enhance the selfies and make them better. The camera comes with a f/2.0 aperture to capture bright selfies in every lighting condition. Question: What are the sensors on the Oppo F7? Answer: The Oppo F7 comes with all the basic sensors you need in a smartphone including the Magnetic sensor, Light sensor, Proximity sensor and G-Sensor. 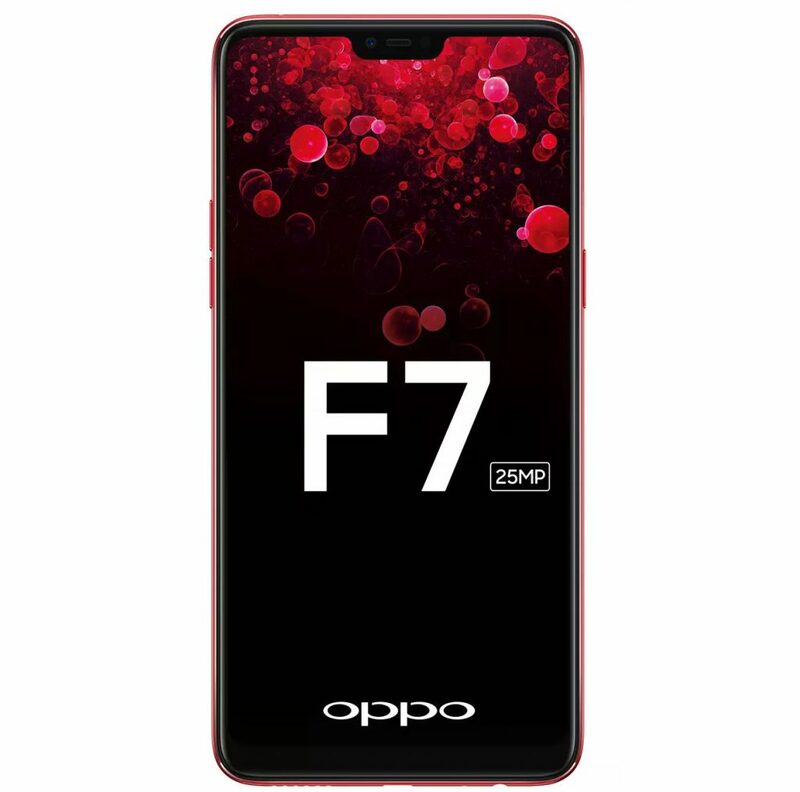 Question: What version of Android does the Oppo F7 come with? Answer: The device comes with Android 8.1 Oreo running out of the box with the OEM’s ColorOS 5.0 skinned on top. The Oppo F7 is a decent smartphone in the mid range segment, especially for users who want a big display and a powerful selfie camera. However, some users may be disappointed with the lack of a dual camera setup that is found on other devices in this price range. If you are okay with the lack of dual camera setup, this is definitely a good option for you as the display is vivid, performance is good and the device feels good in one hand despite coming with a big display.